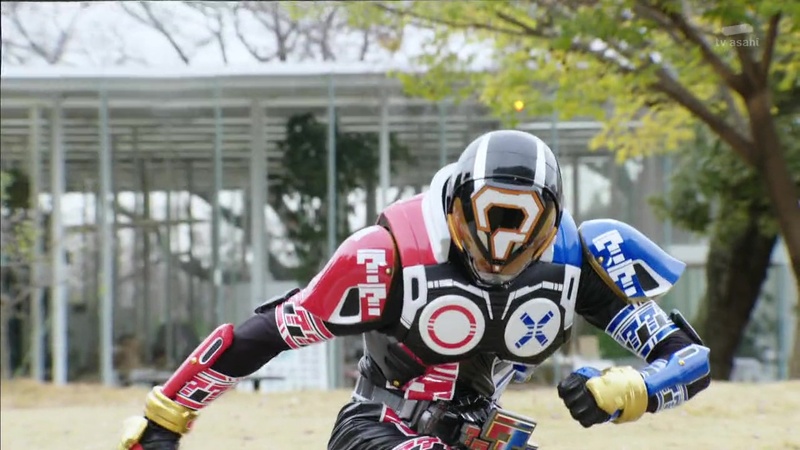 Sougo and Geiz arrive to fight off another Another Rider who is rampaging at a research institute. They henshin. But Sakurada Himoru a dapper young man arrives and says this kaijin is his target. 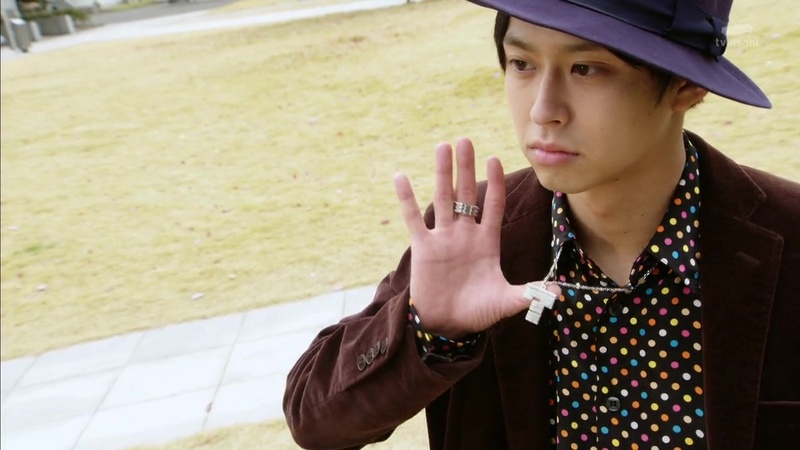 The man tugs on his necklace and it makes a Driver appear, allowing him to henshin into Kamen Rider Quiz. Quiz asks Yes or No questions while fighting and while he absolutely handles both Sougo and Geiz. He delivers a Final Quiz Flash Question Kick at both Sougo and Geiz, forcing them to dehenshin. Quiz approaches Another Quiz, saying he wants to question him. But Ora arrives and freezes time to allow Another Quiz to leave safely. Quiz chases after them. Tsukuyomi arrives as does Woz who says Quiz must be from the future of Another Woz’s timeline. They realize it is odd for the original Rider and Another Rider to coexist. They decide to split up to search for it. While looking, Geiz and Tsukuyomi run into White Woz. 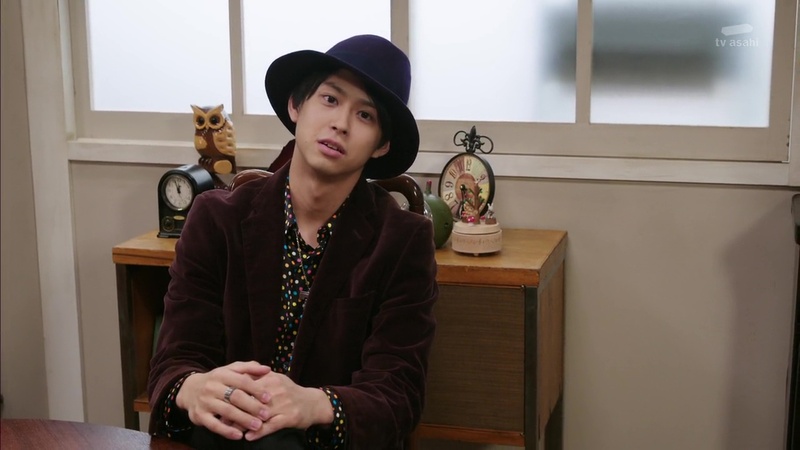 They ask about Kamen Rider Quiz, Meanwhile, Black Woz explains to Sougo that Another Quiz appearing means things are diverging from the timeline they want to have happen. White Woz says things are progressing toward Geiz becoming Geiz Revive and he is sure Black Woz is working to make sure that doesn’t happen. 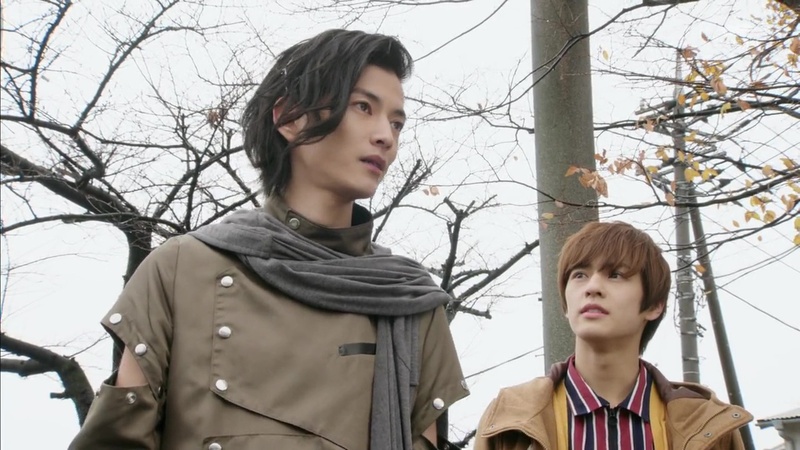 Both Wozes realize the importance of either Sougo or Geiz obtaining Quiz’s power. Tsukuyomi asks if they can use White Woz’s book. 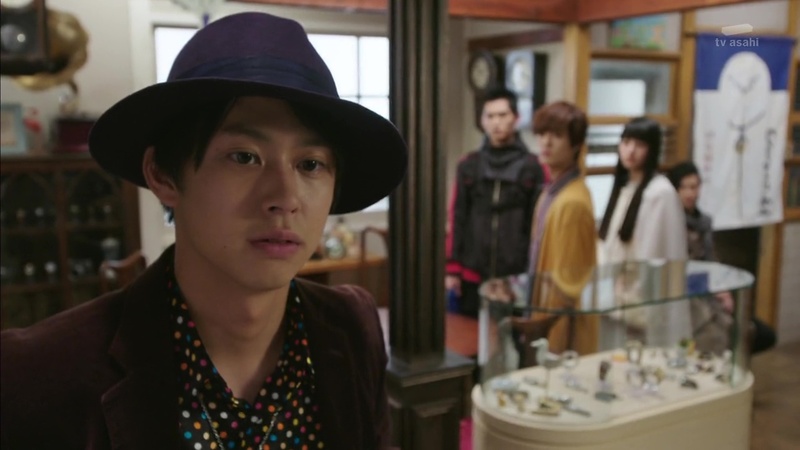 He isn’t immediately willing, but she reminds him that he wants Geiz to obtain the Quiz Watch. Uncle Junichiro invites the young man to lunch before he fixes the watch. The young man recognizes Sougo from earlier, but he also seems to recognize Woz and says he’s not ready to “go back” yet. Woz gets Geiz to restate the fact that once an Another Rider is defeated, the original Rider will lose their memories of being a Rider. White Woz says Geiz should consider this practice. White Woz leaves and Geiz and Tsukuyomi run back to the shop. 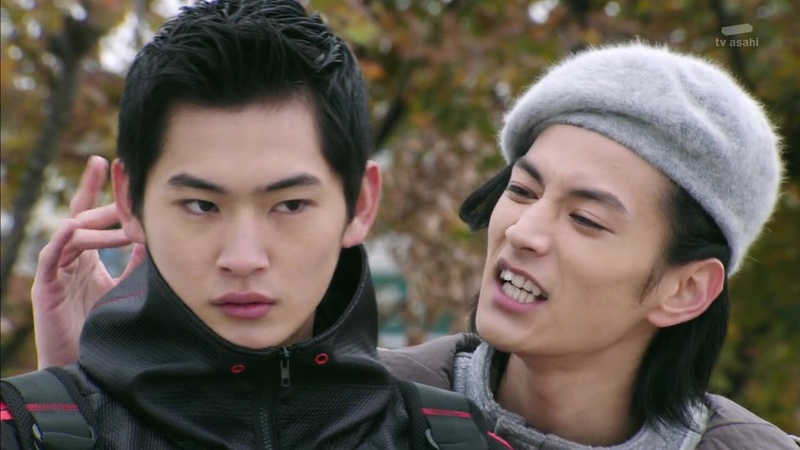 The young man recognizes Geiz and mocks him for being a weakling like Sougo. Geiz takes offense, but Sougo tries to calm the tension by saying they are all comrades. That only makes Geiz even more upset, but Tsukuyomi takes control and demands to know who this young man really is. The young man introduces himself as Douan Mondo, Kamen Rider Quiz from the year 2040. He was brought here by Another Woz. Another Quiz is his father, Douan Tomotsu, who according to his mother, was a talented researcher who was poorly regarded for failing to produce results. But one night, Ora approached him, told him he would never accomplish anything with his research and made a deal with him to turn that all around. Papa Douan used the power of Another Quiz to steal knowledge from his peers. Another Woz meets with Ora who says she wants to support Another Quiz for king. Back at the shop, Uncle Junichiro leads Sougo, Tsukuyomi and Mondo through a quiz game. Geiz wants no part of it and leaves for upstairs. Later that night, he comes back downstairs and watches Mondo sleeping. Next morning, everyone else is up while Mondo is still asleep. Woz arrives to show them an article in the paper about missing researchers. Tsukuyomi looks in her tablet to see where the next disappearance will happen and they all head out after Geiz suggests not waking Mondo. They find Another Quiz and both Sougo and Geiz henshin. They uphenshin to Decade and Ex-Aid, respectively. Before they can deliver finishers, Ora freezes time and points Sougo and Geiz at each other to keep Another Quiz safe. But suddenly, Ora gets slammed into the stairs…by White Another Woz. He would like her to not interfere as well. 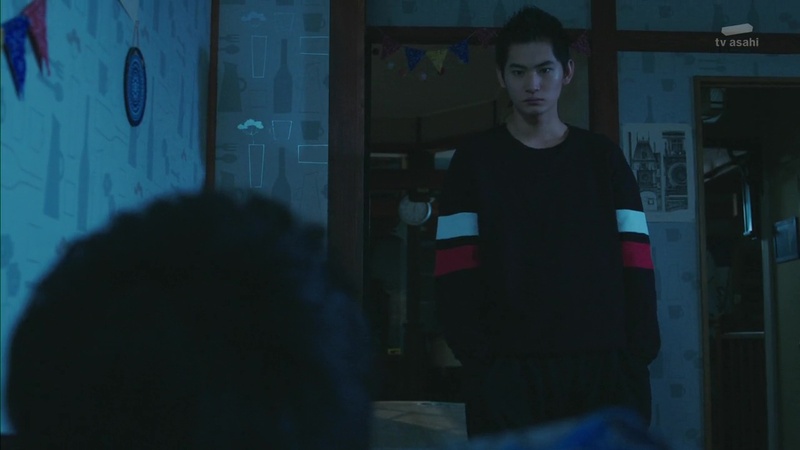 Another Woz turns to Geiz reminding him he has a decision to make soon and he must continue to try and get him to accept being the savior. Another Woz henshins and takes on Another Quiz. He writes in his book before uphenshining to Shinobi. He overpowers Another Quiz and then delivers a Finish Time One Shot C’mon finisher that releases Papa Douan. Papa Douan appears to have the watch Mondo wanted to have Uncle Junichiro fix. Papa Douan tries to run away, but Mondo arrives. Another Woz says this is Geiz’ time to defeat Another Quiz. Geiz remembers Mondo telling them his story. Mondo’s mother told him how Papa Douan’s failures caused him to be overly focused on his research, driving him away from his family before apparently dying soon after. Mondo adds that only those obsessed with the past try to change it. Instead, his mother became ill in 2040 thinking Papa Douan never loved her. He’s come to 2019 to ask Papa Douan the truth to help his mother’s time move forward. 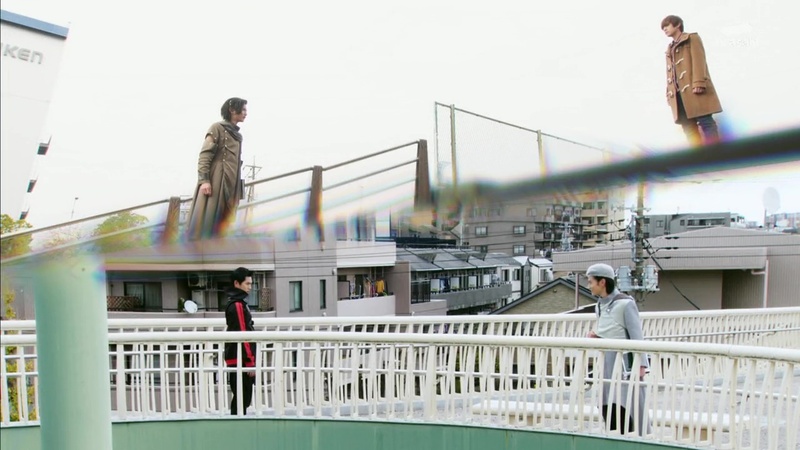 Sougo tries to stop him, but Geiz steps forward and faces Mondo. They both henshin. Another enjoyable episode! Of course, I might be most excited to see Katsuhiro Suzuki again. Definitely made me miss some Go-Busters, though suddenly got me worried about Beast Morphers lol. Anyway, I certainly would love to see this Sentai alum parade continue on Zi-O. 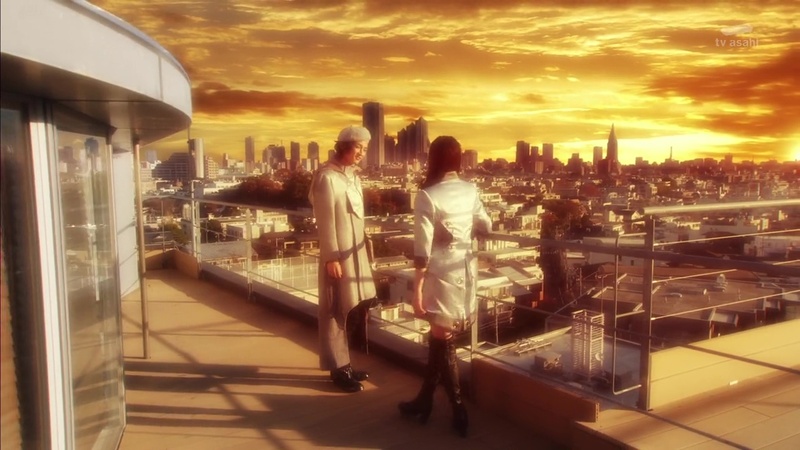 Especially when the characters they’re playing here are pretty great. First with Rentarou and now Mondo. Mondo as a character is very cool and likeable. And Quiz is a refreshing concept as well. Definitely would love to see a full Kamen Rider Quiz in the future too hehe. Keisuke Watanabe is really doing great as both Wozeses. He seems to be enjoying playing Another Woz as well which definitely shows in his performance. Story-wise, there seems to be some direct foreshadowing that Sougo will lose his memories of being a Rider in the future? I wonder if we’ll be getting some nice, emotional moments of Sougo, Geiz and Tsukuyomi struggling with the fact that Sougo will never remember them after Oma Zi-O is defeated. Sort of like Build‘s finale I guess. Gaku Oshida does a great job as Geiz. Like Keisuke, Gaku seems to have a lot of fun playing a character that is the complete opposite of his real-life personality. It’s great to watch. Another Woz throwing Ora back like that into the stairs was very shocking! It was definitely an unexpected moment and it shows Another Woz can be very scary if he likes. Overall, a fun and enjoyable episode. Good plot and nice developments moving forward. I didn’t watch “Go-Busters”, but maybe I’ll see some episodes when I’m gonna to have holidays. Kamen Rider Quiz was very funny, both in battle and beyond, when Mondo had fun in quiz game in clock shop! I was really surprised when White Woz knocked Ora! LOL I wonder what is he scheming? Is that something really awful or exactly the opposite? 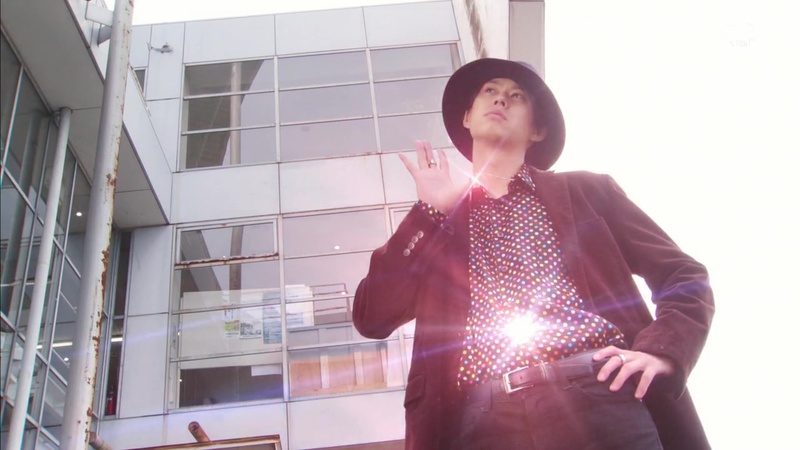 And why, according to White Woz, Geiz has to be Geiz Revive? I’ve got a feeling, Geiz can rebel against White Woz soon and understand, that’s not the way by killing Sougo to change the history.